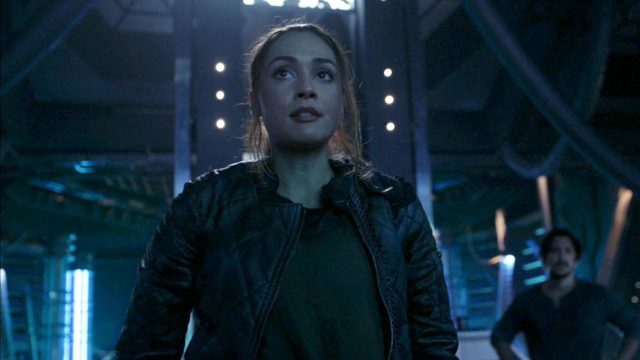 One of the things that The 100 does extremely well is to keep things high octane. Other shows slow down or have lulls in the plot, but I cannot recall once that The 100 has done that. 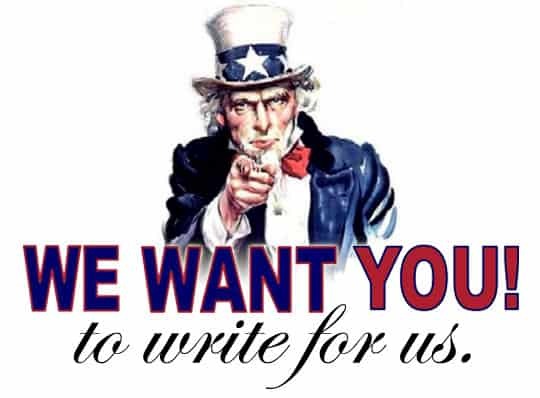 Instead, they push ever forward with their chosen story, and the result is more exciting, pulse-pounding action. “Sleeping Giants” was certainly no exception to that. 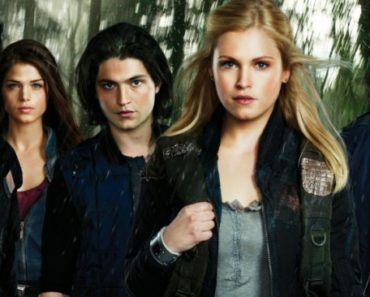 What makes The 100 different than other shows is the approach it takes to problem solving. Some shows spend 2 to 7 episodes talking about a problem before they attempt to solve it. Instead of that, The 100 attacks its problems head on and deals with them in a realistic way. Bellamy and his crew need to get down to earth, so they spend one episode solving that issue. From that issue creates more issues that they can deal with in subsequent episodes. I think other shows are afraid that they don’t have enough story so they try to drag things out. Of course, this just means that the label I gave The 100 when I started reviewing the show back in Season 2 still stands: fearless. Fearless is a characteristic that extends to several of the main characters, too. Clarke is fearless in the face of these criminals who have come down and captured her. Bellamy is fearless in his efforts to get Clarke. Raven makes a fearless sacrifice to give Bellamy leverage. It’s fun to watch a show that’s fearless, but even more so to watch characters that face their fears and act. On top of all of these characteristics, the actors from The 100 always rise to the level of the material they’re given. 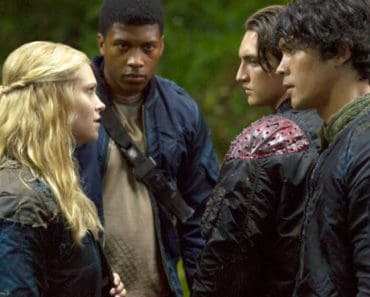 Eliza Taylor has already proven this season that she can do a lot with silence, but it was really the likes of Lindsey Morgan, Bob Morley, Richard Harmon, and everyone on the ship who gave the strongest performances. They showed us flawed humans, all wanting to do the right thing, or what they think is best, or hurting. It’s incredible to me that such nuance can be illustrated even when the show is constantly putting characters in life or death situations. Reunions are always emotional, but the first thing that moved me in this episode was Bellamy saying “Murphy. I want to know what you think.” It reminded me that Bellamy and Murphy were besties on day one, and really utilized their radically different POV’s well. Having the prisoners come down from space was an excellent touch by the creative team. It allows there to be new characters, a new threat, and potential for allies within those stories. It doesn’t just say “here’s a new bad guy or threat” but, in keeping with the gray areas of morality that this show loves to explore, it gives some of the new characters a conscience and some humanity. I really love the way The 100 mixes things up in the cast, like sending Emori and Echo into space. But if Murphy and Raven don’t get down to the ground soon, I might have a fit. 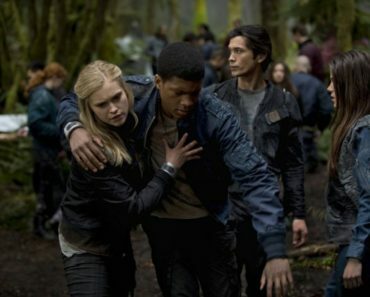 The 100 has been renewed for Season 6!! Hallelujah! I simply never tire of this show. It’s constantly exciting, the stories stay fresh, and the some of the same old characters make you feel new things every single week. The show is a masterclass in storytelling, and I keep coming back for more. 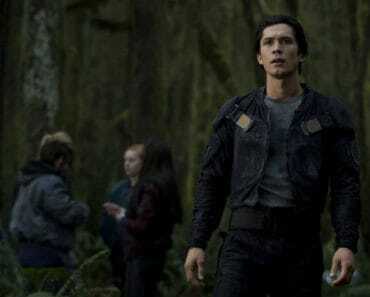 The 100 Season 5 Episode 3 Review: "Sleeping Giants"
Bellamy, Raven, and the rest of the space crew work on getting down to the ground, while Clarke deals with the newest threat to her survival on this week’s strong episode of The 100.